Big name operating systems such as Android and iOS have Amazon applications, so it was only fitting that Windows Phone 7 would eventually join the club with their own Amazon app that is now available to download for free. Just as most WP7 apps, the Amazon application takes advantage of the hub styling that makes navigating the OS a breeze. 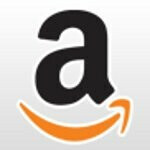 Anyone using the app will be able to browse the full amazon catalog, make one-click purchases, manage a wish list etc. The Windows Phone 7 market continues to grow before our eyes. Tell us what you think in the comments below. woop-dee-do. I'm sure wp7 users would rather have an update with the ability to copy/paste, multitask, use custom ringtones, be able to send video files via mms, and have adobe flash. No-Do as they call it is a weak update and it still doesn't have a release date. Yea, update is coming and hopefully will cover those grounds you mentioned. But its nice to have an Amazon App as well. Im excited at least, I love Amazon.